This page deals with the racing held at the White City Stadium in the pre-war years. Apart from 1929 and 1934 when open meetings were held, Nottingham were part of the league system. 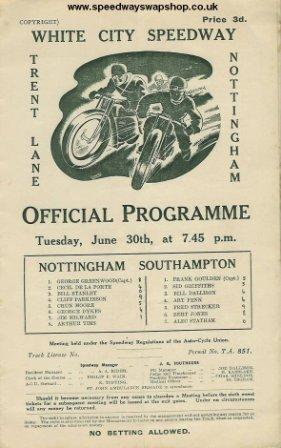 The Nottingham Outlaws in the early 1980s raced at Long Eaton and their results can be found there.